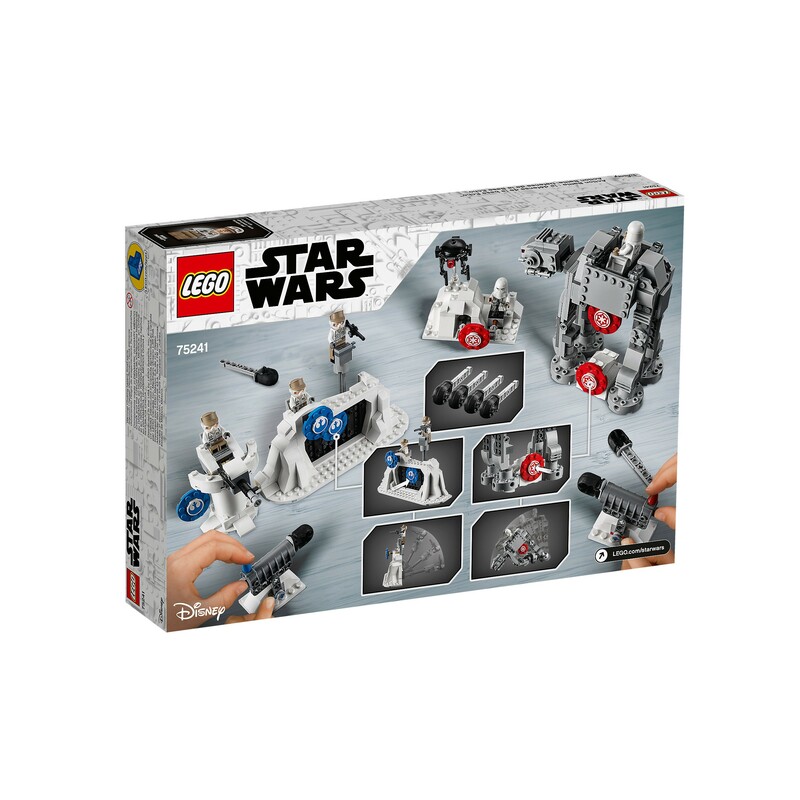 Build and play a fun LEGO Star Wars Battle of Hoth action construction toy! 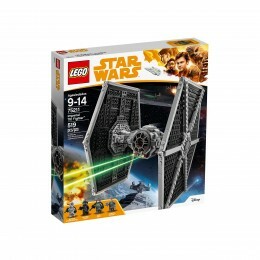 Give an all-new-for-April-2019 build and play experience with this LEGO Star Wars 75241 Action Battle Echo Base Defense building toy. 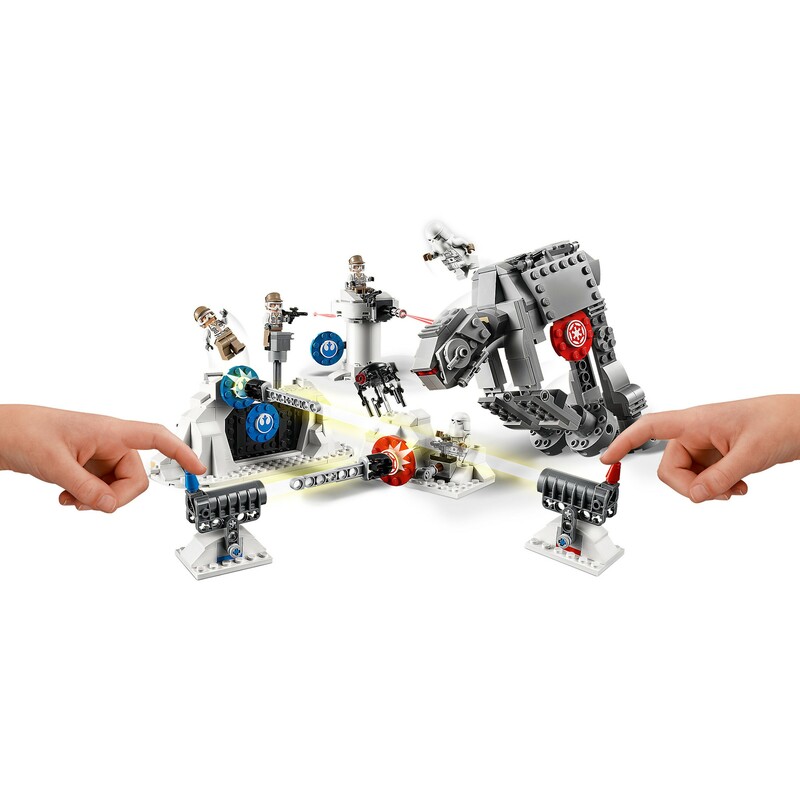 Kids will love to share the building experience with their friends as they construct a LEGO brick Echo Base scene from Star Wars: The Empire Strikes Back, featuring a Rebel base entrance gate, blaster tower, trench section with Probe Droid and an Imperial AT-AT Walker. 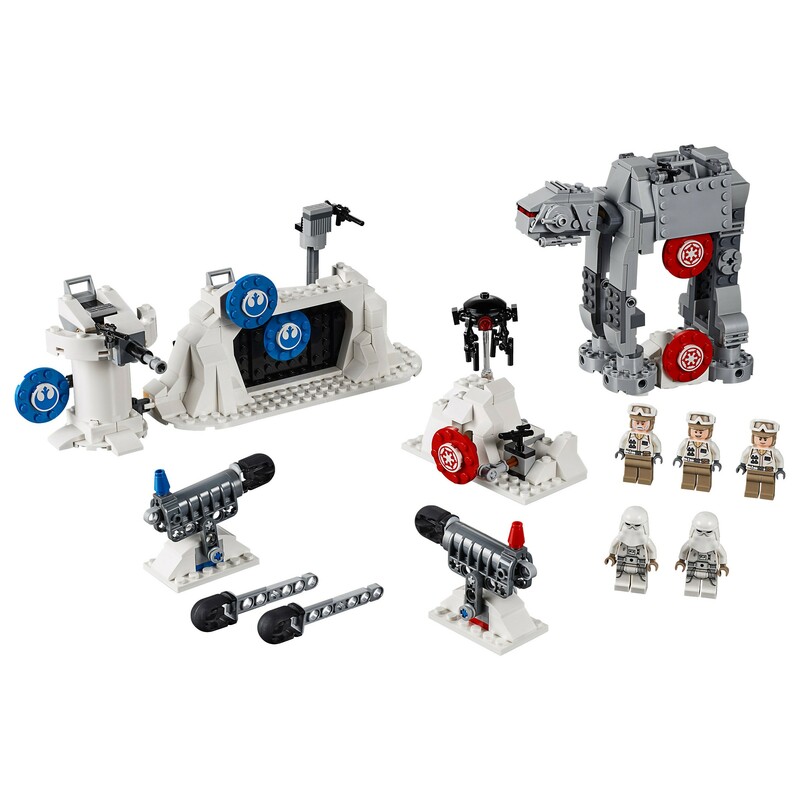 Opponents load up their powerful shooters and take turns to hit each other's targets to blast the Rebel Trooper and Snowtrooper minifigures into the air, blast open the Rebel base gate and bring the AT-AT crashing to the ground. 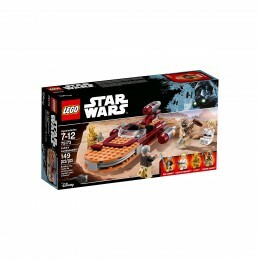 This entertaining LEGO Star Wars battle construction playset offers endless creative play for kids of any age. 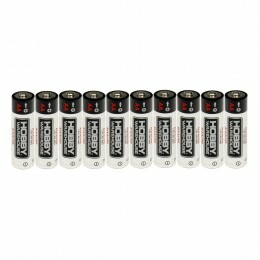 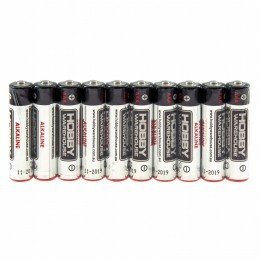 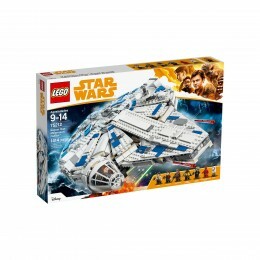 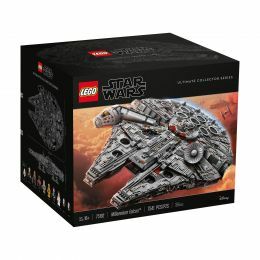 Includes 5 LEGO Star Wars minifigures. Includes 5 LEGO Star Wars minifigures: 2 Snowtroopers and 3 Rebel Troopers. 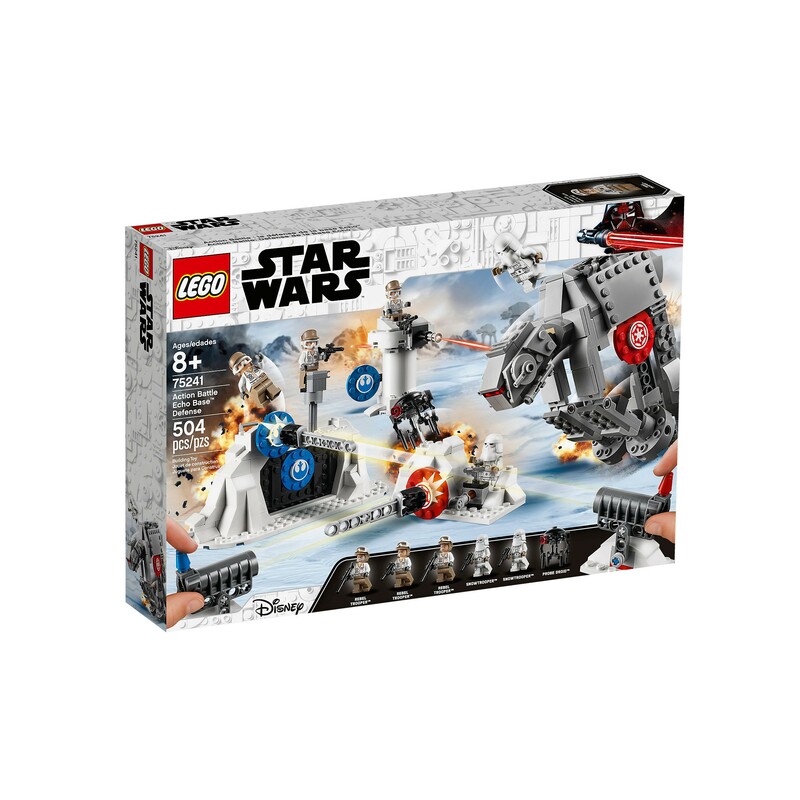 Enjoy endless LEGO Star Wars battles with friends and family to see who can defeat their opponent by hitting their targets. 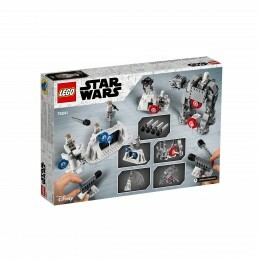 Create exciting Star Wars: The Empire Strikes Back battles with this creative play LEGO Star Wars merchandise. 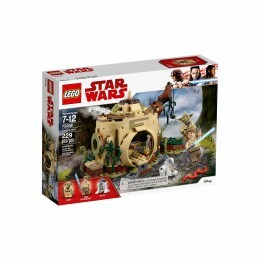 Entrance gate with tower measures over 3" (10cm) high, 9" (25cm) wide and 3" (10cm) deep. 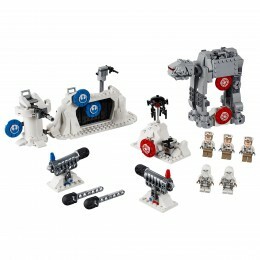 AT-AT Walker construction toy measures over 5" (13cm) high, 5" (15cm) long and 2" (7cm) wide.